SOAR members, you can also let friends, family and coworkers know that there are spaces available for them to attend Stewards of Children at no cost. 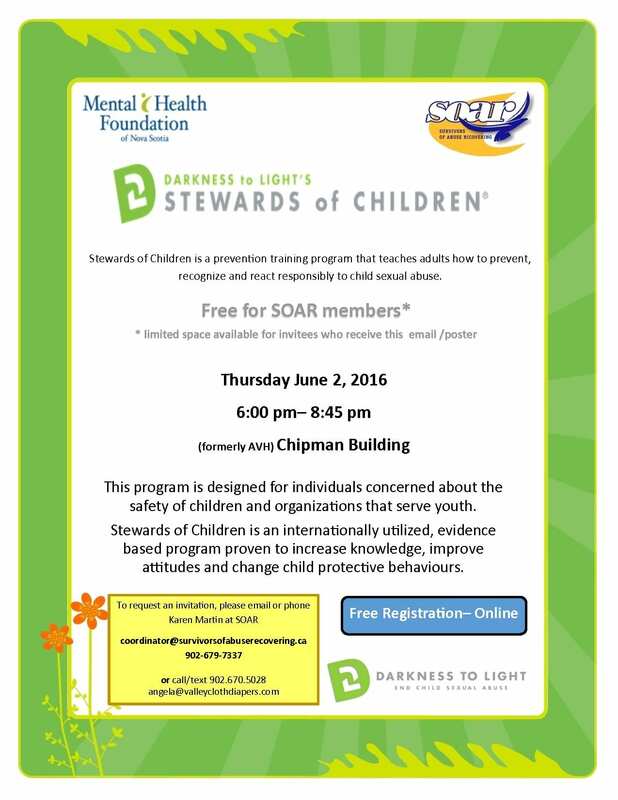 Guests can register at this link, https://www.eventbrite.ca/e/stewards-of-children-for-soar-a…. 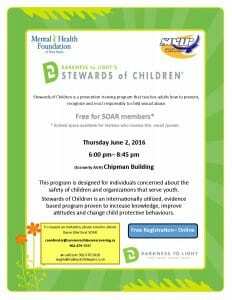 This program is designed for individuals concerned about the safety of children and organizations that serve youth. attitudes and change child protective behaviours. This is a great way of being a part of a conversation that will lead to better protection for children. It would be great to see all the spaces filled for this workshop. Thursday June 2, 6-9 pm.